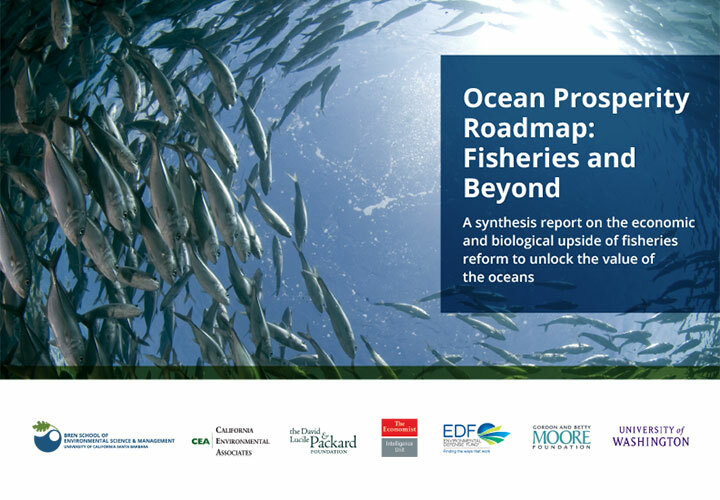 The research demonstrates how governance and management reform can reduce poverty while achieving economic gains, increasing food production, replenishing fish and conserving ocean health for future generations. This is especially true in the case of wild capture fisheries. Taken together, the collection of seven studies creates a comprehensive overview of what’s possible to achieve in the ocean economy and emerging best practices on how to get there. The collection is a result of work from The Economist Intelligence Unit (EIU), Environmental Defense Fund (EDF), the Gordon and Betty Moore Foundation, the David and Lucile Packard Foundation, California Environmental Associates (CEA), the University of California at Santa Barbara (UCSB) and the University of Washington (UW). 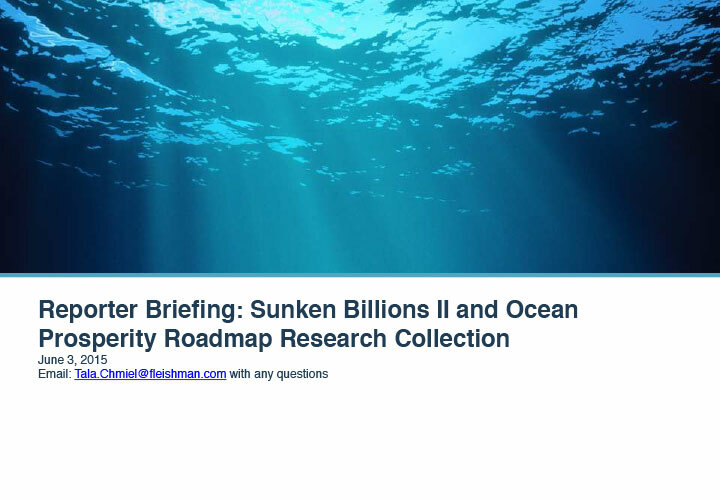 Key information for journalists interested in learning more about the Ocean Prosperity Roadmap. A summary of the key findings that are currently available from each study in the collection. 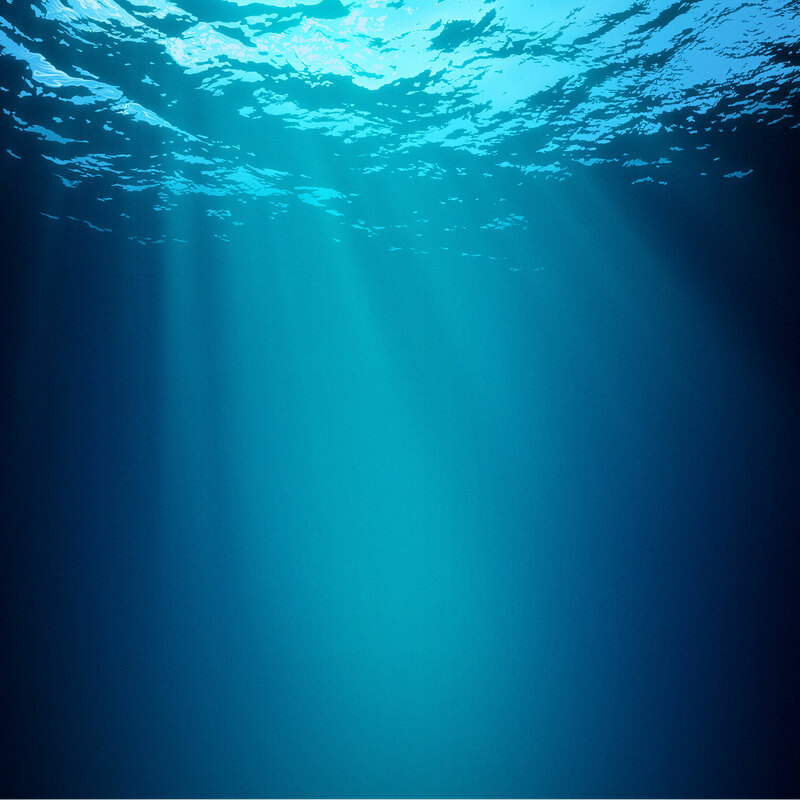 The “blue economy”—the concept of an economically and environmentally sustainable ocean-based economy—has emerged as a new approach to developing and managing ocean resources. The report by the EIU with funding from the Moore Foundation provides an examination of the ‘state of the blue economy’ across the world, to inform and stimulate discussion and debate among domestic and international policymakers, businesses, civil society and academics. The transition from a conventional resource economy in the ocean to a blue economy is a tremendous economic and investment opportunity, if it can be done right. 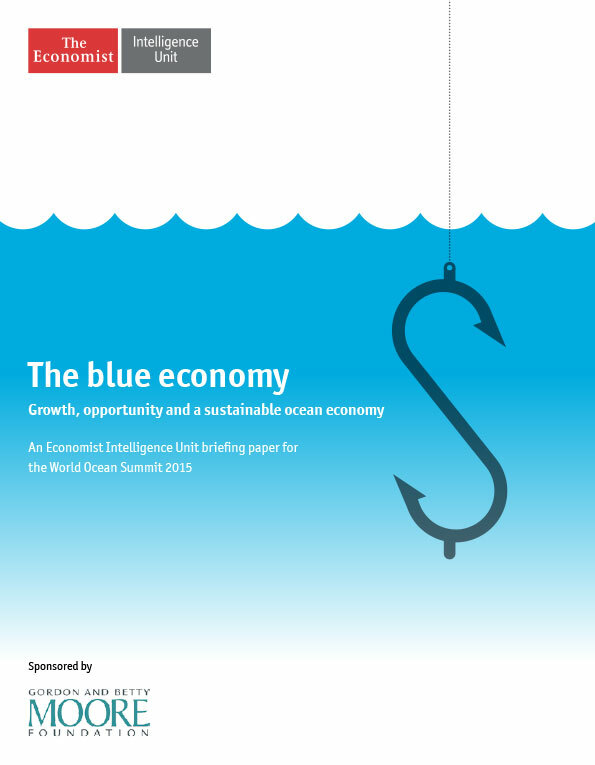 This paper by the EIU with funding by the Moore Foundation is intended to help investors and the private sector understand the risks and opportunities for making money from ocean resources where business models that embrace the thoughtful management and sustainable use of our oceans represent the best path for unlocking value into the future. 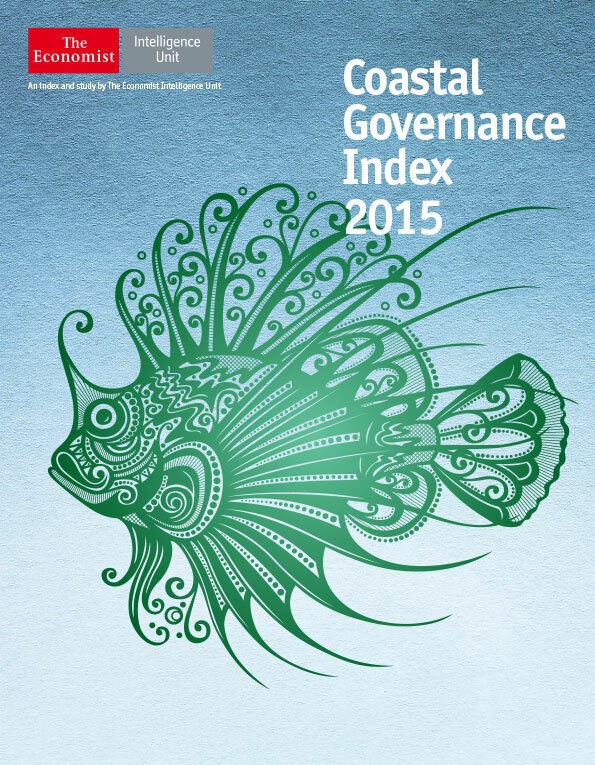 The Coastal Governance Index is an analysis by the EIU with funding by the Packard Foundation of the status of coastal and fisheries governance to provide an international ranking of 20 ocean economies. The goal of the index is to provide governments and private investors a basis for understanding the status of management and regulations in key countries to enable better decision-making and encourage investment. New research by UCSB, EDF, and UW compiles the world’s most complete database on fisheries health, representing 77 percent of the world’s annual harvest, with a new bio-economic model to provide the most comprehensive picture to date of the future economic, conservation and societal benefits, if sustainable fishing becomes the norm worldwide. The data show recovery is fast if reforms are put in place today. 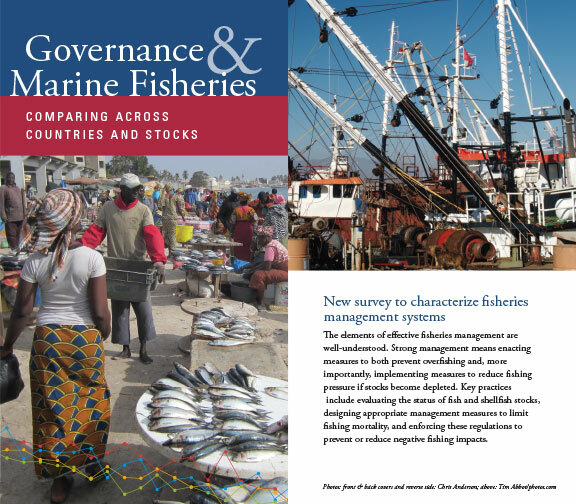 One of the main challenges in talking about the state of global fisheries is that there is no comprehensive information on the nature or quality of fisheries management across countries. This study, conducted by UW, is a fishery-by-fishery attempt to assemble that information for the world’s largest fishing nations, and to compare the quality of management across them. Understanding the current nature of management is essential in providing recommendations on how those systems can be improved to unlock ocean prosperity. 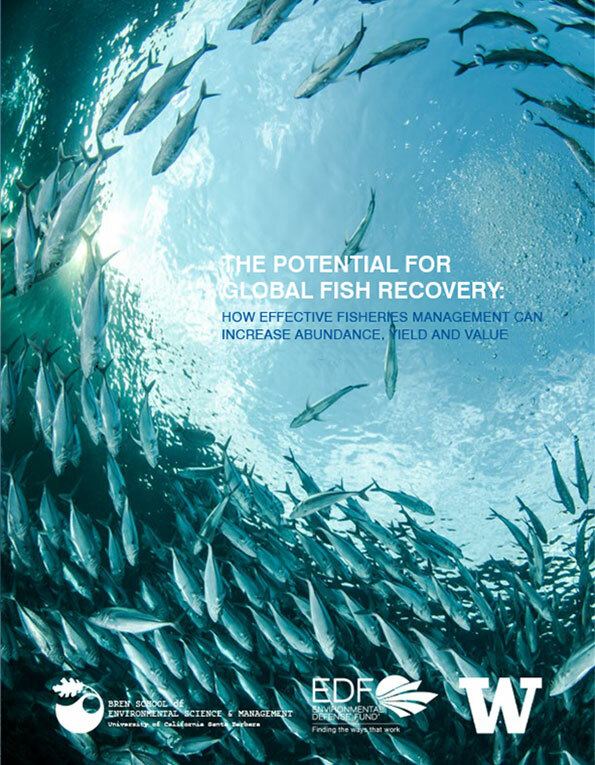 In order to achieve the economic and biological upside of better fisheries, governments need to enact certain policies. But how much do they cost and are the costs prohibitive? This analysis by researchers at UCSB seeks to estimate the costs of action and compare those against the economic upside of better management. 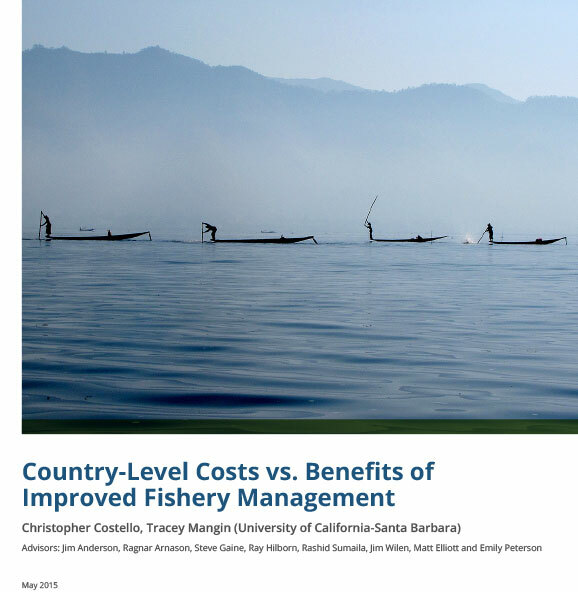 A key finding of this study is the attractiveness of investing in management to spur improved fisheries management, particularly in countries with the most room to improve.